Talking with Charles Antis is like attending a one-on-one TED Talk. 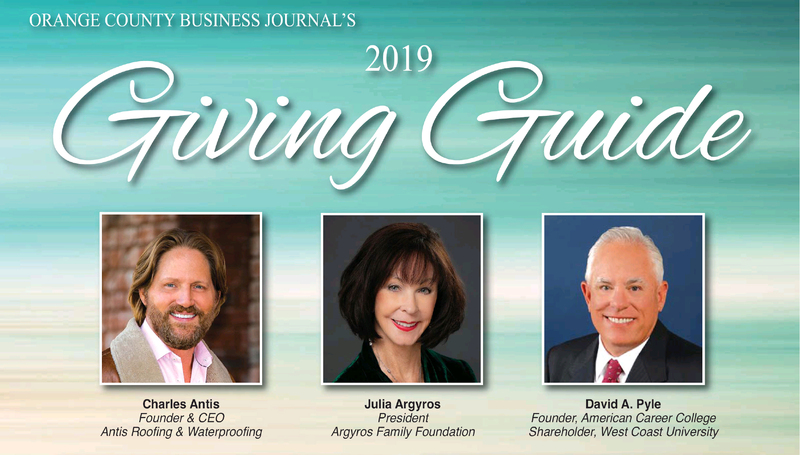 The founder and CEO of Orange County-based Antis Roofing & Waterproofing is a charismatic and community-minded person out to inspire others to do well by doing good. A sought-after speaker whose efforts have received a number of awards, Antis believes his company’s model of corporate social responsibility can be implemented by other mid-range and small businesses—and in fact to survive and prosper companies must. 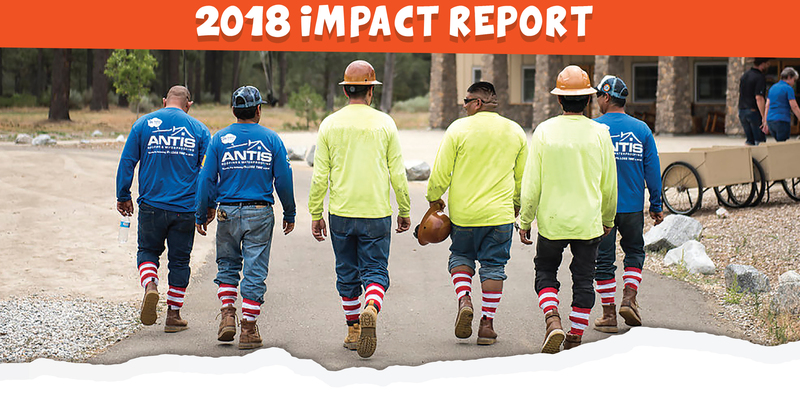 He and his dedicated staff support more than 100 nonprofits, including Habitat for Humanity (Antis and his employees have volunteered to install roofs on all Habitat homes built in O.C. in the past 10+ years) and Ronald McDonald House (Antis convinced a national group of roofers to follow his company’s local example by repairing or replacing the roofs on all 165 Ronald McDonald Houses in the U.S.). 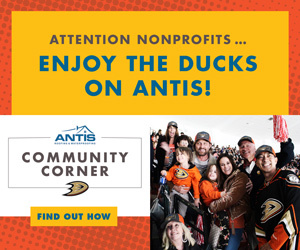 Antis believes that the “purpose before profit philosophy ensures a company, its employees, and the entire community will thrive together.” The Anaheim Ducks agree, joining him in creating the Antis Roofing Community Corner to benefit local nonprofits. 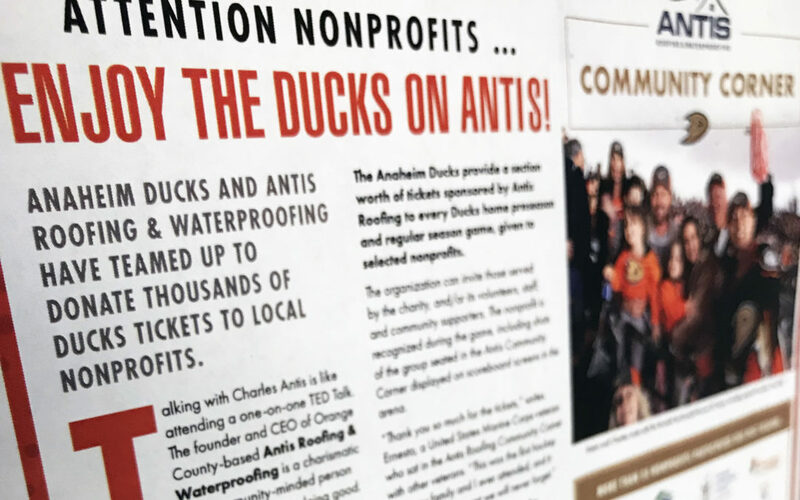 The Anaheim Ducks provide a section worth of tickets sponsored by Antis Roofing to every Ducks home preseason and regular season game, given to selected nonprofits. The organization can invite those served by the charity, and/or its volunteers, staff, and community supporters. The nonprofit is recognized during the game, including shots of the group seated in the Antis Community Corner displayed on scoreboard screens in the arena.